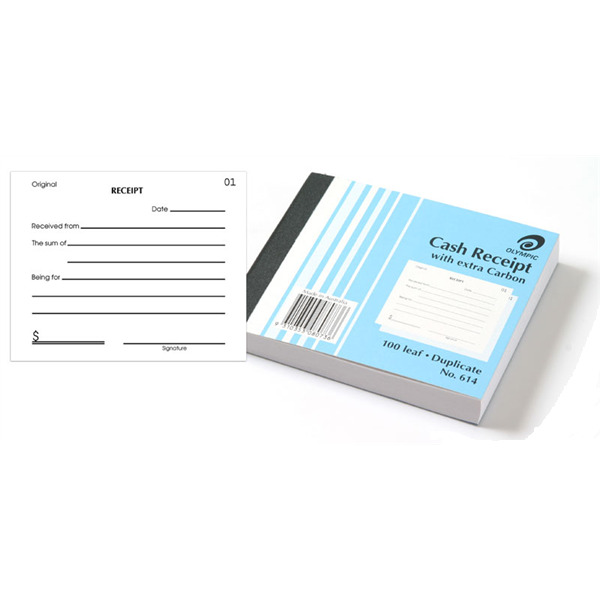 Keep a record of all your transactions, 100 sets of receipts per book. 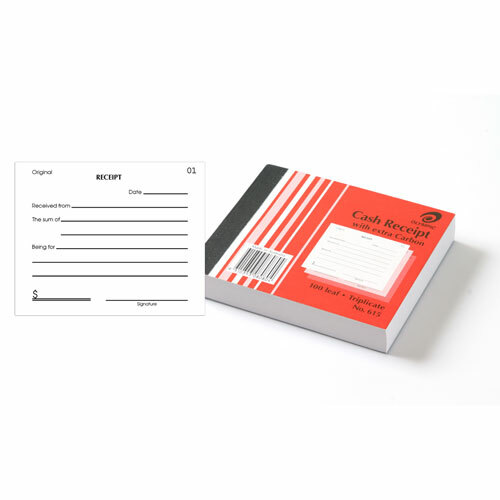 Duplicate - 100 sets of numbered receipts per book with extra carbon. Book size - 100 x 125 mm - Receipt. 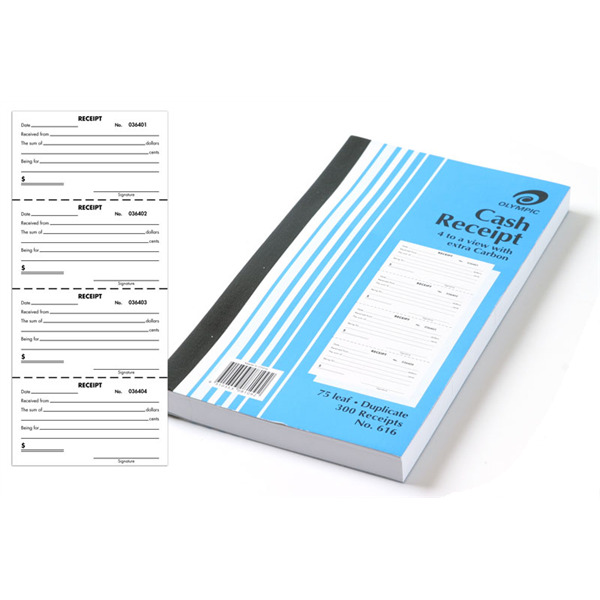 Triplicate - 100 sets of numbered receipts per book with extra carbon. Keep a record of all your transactions, 4 to a View. Duplicate - 4 to a View - 300 numbered receipts per book with extra carbon. Book size - 250 x 135 mm - Receipt.